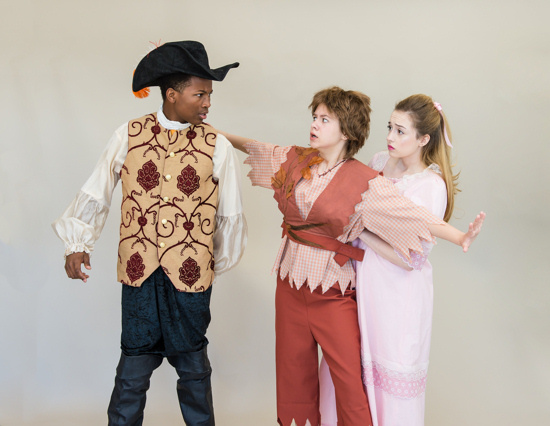 East Valley Children's Theatre presents PETER PAN, Book by local playwright Craig Sodaro, Music by Eric Rockwell, Lyric by Joanne Bogart, Directed by Joel Cranson. Join EVCT's huge cast of 44 youth ages 8-18 in this new production of a familiar story. The Darling children love to hear of Peter Pan's adventures during his visits through the open window of the nursery. Then one night, Peter and Tinkerbell whisk the children off to Neverland to be part of the adventures. There they encounter Captain Hook and his pirate crew, Princess Tiger Lily and her tribe, and the Lost Boys and Girls. A rousing original musical score will delight audiences of all ages in this timeless classic story for the young at heart.